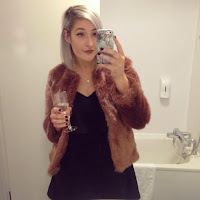 Eek writing this gift guide has just made me so excited for Christmas! I love giving people presents and seeing their faces as they open them up. I especially love buying for my boyfriend as we usually set quite small budgets and try buy lots of small little goodies for each other. I've made sure that this gift guide has a price range so that it can inspire you for expensive main presents as well as a few stocking fillers or secret Santa ideas! 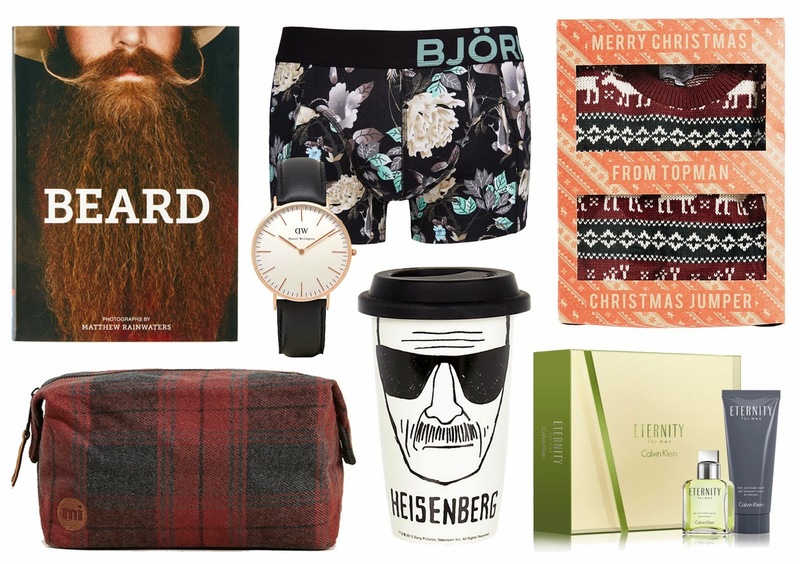 This is the first ever men's gift guide I've written on my blog so hopefully it will help me in years to come when I run out of ideas I can pop back onto this post for inspiration! There's just something about beards. Men love having beards and complimenting others on their beards so I'm guessing that they'd also like reading about beards! This book contains images from World Beard and Moustache Championships so there will definitely be some interesting photographs and reading! So I haven't got off to the cheapest start here, but if you're looking to treat a man in your life to something a little bit more special, I love these Daniel Wellington watches. I featured a female one in a wishlist recently as I love both the men and women versions (hint, hint!) Another place to find some other fab men's watches is Oris Watches - it's not the cheapest but there's some lovely watches! You've gotta love a good old Christmas jumper! I love the colours in this Topman one - burgundy and navy are my favourite colours around Christmas time. The reindeer pattern looks really cute and I love that it's presented in a little box. I know men don't have as many toiletries as us ladies, but they do all need somewhere to pop the bits they do use. I think this checkered one from Topman is lovely. The plaid print is very Autumn/Winter and the embroidered logo is really nice. It looks like it can fit quite a few products inside and would be perfect for those weekends away. This one is specifically for all those Breaking Bad fans out there! My favourite bit of all is that the cup lid is Heisenberg's hat! Perfect for your dads or boyfriends on the go, who can make a cup of coffee at home in the morning then take this cup to work with them! I was so excited when I found out that Soap and Glory were now doing products for men. I am a massive fan of Soap and Glory and I have been for years, so I would definitely buy something for my boyfriend. This little gift set won't break the bank and would be perfect as a little stocking filler or Secret Santa pressie! These highlighters make me so happy every time I see them! They are the perfect stocking filler for anybody. Whether your man works in an office and would use them daily, or will occasionally use them once every 6 months, they're such a cute little addition to a pencil case or desk. Who could be disappointed by receiving 5 happy little panda pens?! This is slightly more of a joke present, but if your man or dad is happy to wear a Christmas jumper every year, then why not keep his head warm with a Christmas pudding hat? I think it's quite cute really and the cherry pompom on top is hilarious! Another thing you can't really go wrong with at Christmas is chocolate! Lindt make absolutely gorgeous chocolate all year round, but at Christmas they have some lovely designs! One of my personal favourites is the chocolate bear, he's a right cutie! The most obvious gift for the man in your life is pants and socks. These ones from River Island aren't too loud or vibrant, they're a mix of nice Autumn/Winter colours with a nice little dinosaur embroidery at the top. What will you be getting your boyfriend/brother/dad this Christmas? I hope this gift guide helped you! Great wish list! I think I'll be getting my man a DW watch for Xmas! This is a brilliant round up - i need to get the walter white cup now - awesome! Great gift ideas! The Jack Daniels fudge would be a huge hit! very nice inspiration here!! I have still no idea what to get to my boys, but I'll keep the post open when it is time for shopping! !